President Donald Trump's former personal lawyer, John Dowd, insisted the president not speak in person to special counsel Robert Mueller after failing a mock interview, a new book by journalist Bob Woodward reveals. The book, Fear: Trump in the White House, includes interviews with several former and current members of Trump's inner circle and administration officials, as well as memos, notes and other documents. It portrays a White House in turmoil, with staffers stealing documents off Trump's Oval Office desk, expletive-laden rants and attempts to suppress some of the president's more incendiary ideas. CNN and The Washington Post obtained early copies of the book, which is due to be published Sept. 11. The book also details Trump's preoccupation with the Mueller investigation into Russia's interference in the 2016 U.S. presidential election and whether Trump's campaign colluded with that effort. When he learned about Mueller's appointment to lead the probe, Trump complained, "Everybody's trying to get me." Trump insisted he wanted to sit for an interview with Mueller, but a practice run with Dowd didn't go well. The lawyer questioned Trump, who contradicted himself and at times told lies, sources with knowledge of the practice interview told Woodward. "Don't testify. It's either that or an orange jumpsuit," Dowd told the president. The lawyer reviewed the outcome of the practice run with Mueller's team. "I'm not going to sit there and let him look like an idiot," Dowd told Mueller. "And you publish that transcript, because everything leaks in Washington, and the guys overseas are going to say, 'I told you he was an idiot. I told you he was a [expletive] dumbbell. What are we dealing with this idiot for?'" "You are not a good witness," Dowd told Trump. "Mr. President, I'm afraid I just can't help you." Other sources recounted to Woodward how White House aides and staffers hid papers from Trump, moves they justified as being in the best interest of the nation's security. In one instance, former chief economic adviser Gary Cohn removed from Trump's desk a letter that would have withdrawn the United States from a trade arrangement with South Korea. "I wouldn't let him see it. He's never going to see that document. Got to protect the country," Cohn told a colleague. Former staff secretary Rob Porter also hid or stole documents in order to distract Trump or delay decisions. 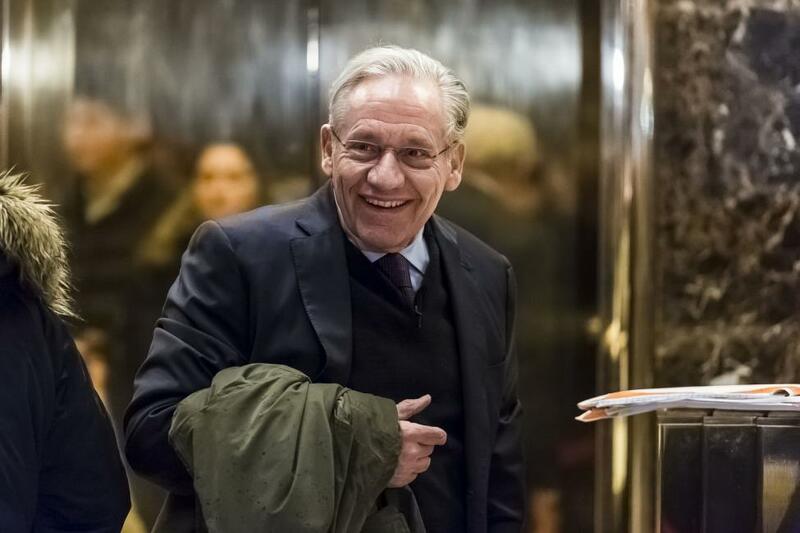 Woodward's book describes a White House in which some of Trump's closest aides don't trust his decisions and doubt his understanding of complicated conflicts and diplomatic relationships. "He's an idiot. It's pointless to try to convince him of anything. He's gone off the rails. We're in crazytown," chief of staff John Kelly said during one meeting in his office. "I don't even know why any of us are here. This is the worst job I've ever had." On Tuesday, Kelly denied comments attributed to him in the book. "The idea I ever called the president an idiot is not true," he said in a statement issued by the White House. As I stated back in May and still firmly stand behind: 'I spend more time with the President than anyone else, and we have an incredibly candid and strong relationship. He always knows where I stand, and he and I both know this story is total BS. I'm committed to the president, his agenda, and our country. This is another pathetic attempt to smear people close to President Trump and distract from the administration's many successes.'" Former Secretary of State Rex Tillerson called Trump a "moron" after the president questioned why the United States kept troops in South Korea during a National Security Council meeting. Defense Secretary James Mattis told him troops were there "in order to prevent World War III," citing an intelligence operation allowing the United States to detect a North Korean missile launch in 7 seconds instead of 15 minutes. "Mattis was particularly exasperated and alarmed, telling close associates that the president acted like -- and had the understanding of -- 'a fifth- or sixth-grader, '" Woodward wrote. A statement from White House press secretary Sarah Sanders slammed the book as untrue. "This book is nothing more than fabricated stories, many by former disgruntled employees, told to make the president look bad," she said. Woodward has worked for The Washington Post since 1971, currently holding the post of associate editor. As an investigative journalist for the newspaper, he and Carl Bernstein reported on Watergate and President Richard Nixon's resignation, earning the newspaper a Pulitzer Prize in 1973. He also contributed to the Post's coverage of the Sept. 11 terrorist attacks, which also earned a Pulitzer.